It’s the best of both worlds. 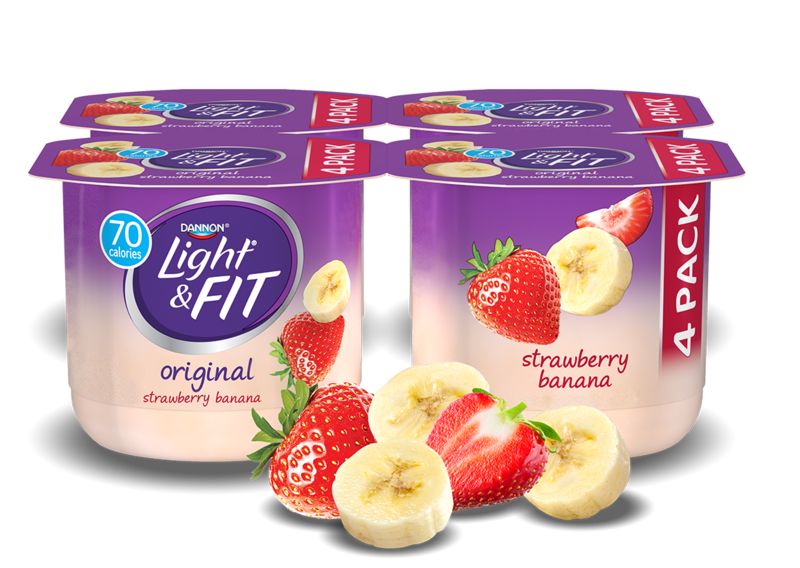 The tried-and-true combination of juicy strawberry and sweet banana comes to life in every cup of creamy, nonfat yogurt. Cultured Grade A Non Fat Milk, Strawberries, Water, Modified Food Starch, Cane Sugar, Contains Less Than 1% Of Kosher Gelatin, Banana Puree, Natural And Artificial Flavors, Beta Carotene And Vegetable Juice (For Color), Sucralose, Acesulfame Potassium, Malic Acid, Vitamin D3, Vitamin A Palmitate, Sodium Citrate, Active Yogurt Cultures L. Bulgaricus & S. Thermophilus.